Think you’re doing okay? You’re probably tired. Think you’re tired? You’re probably weary. Think you’re weary? You’re probably running on fumes. Think you’re running on fumes? You’re probably approaching burnout. The incessant humming pressures of our age are wearing us threadbare at an alarming rate. Social media feeds, email inboxes and our constant availability weigh us down. The tricky thing about these pressures is they’re internal. Others won’t see how email consumption, phone-induced stress and slow-drip exhaustion are sucking us dry. Here are some practical ways to punch fatigue in the jaw. Go to bed. One of the most spiritual things you can do is go to bed. Some nights I find myself negative about the day. Chances are the day was decent, but my mind and body are tired. His mercies are new every morning, so turn out the light and wake up to them tomorrow. Have some fun. Fun and play are crucial parts of life. Investing in hobbies will take your mind off the issues you encounter as a leader and give you permission to be human again. A life without fun isn’t a healthy life. Martyr leadership doesn’t work long-term, and the living conditions are bad in that prison. Take a REAL vacation. A long weekend isn’t a vacation. Neither is doing that next back-breaking project. To truly relax you need to get your nose out of emails, trust others back at the office and let your “leader brain” stop spinning. Take at least a week; take two, even. Do something fun with your family. Lie in your hammock and take naps to let down the adrenaline that pumps through the veins of leaders. You don’t receive vacation; you have to seize it. Plan a weekly Sabbath. Vacations aren’t enough. You need to intentionally identify a day each week as a day to recharge and rest. Designate a day, even if it has to rotate, where you are off duty to the world. Turn your phone off. You can be more present to your family and less present to those who need you the rest of the week. Get practical. If you live in the clouds, you’ll never see results. Find practical ways to pull yourself down to earth every week. I’m a huge believer in coaching. I’ve been a coach for several years and seen over and over how life-altering it can be. Coaching helps leaders gain crucial insights and find practical solutions. Coaches remind you you’re completely unique and completely normal all at the same time. Identify a few tools to make your time and energy visible on paper. Discover self-assessment questions you can ask yourself every week. Find some friends. Leadership can be lonely. This isn’t all bad, but it certainly can be dangerous. Leaders of all kinds wrestle with the feeling of loneliness, but pastors are especially at risk. Barna Research Group reported that pastors are more likely to feel lonely and isolated than the average American. But here’s the good news; pastors with high satisfaction in their friendships have a lower burnout risk. Friends matter. They’re a voice of reason and a source of laughs, and they’ll go soul-deep when you need to. Invest in your physical health. Like any other investment, this will take time to see a return. We need our bodies to help us with the challenges we face as leaders. This looks like eating healthy, working out, sleeping enough and giving our minds white space to reboot. Countless studies link rest to productivity, healthy eating to higher energy levels and regular exercise to stress reduction. Ironically, when we most need exercise, healthy eating and sufficient sleep, we’re least likely to believe we have time to invest in those. I’m crazy passionate about leaders going the distance so they can impact as many people as possible. 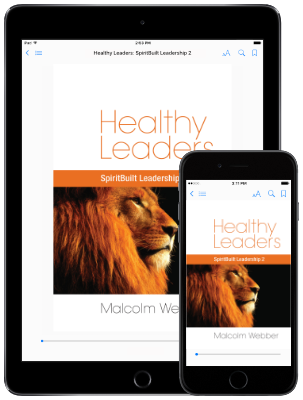 I write in depth on this in my practical eBook The Right-Side Up Leader; Choosing Health in the Age of Impact.